With Christmas around the corner, it can be easy to lose sight of 'me time'. That's why we're here to remind you that your evenings in Sheffield city centre are more than traipsing around the shops for presents. They're made for tea tasting, pizza lovin', yoga unwinding, ambition igniting and music appreciation. See just what you could be up to in your 'me time' in #SheffAfter5 this week. Get learning about and tasting different types of teas, herbs and spices, before having a go at making your very own tea blend this Tuesday. By the end of the two-hour session, you’ll come away full of mince pie and clutching your personalised and labelled and packaged blend, made from all natural ingredients – perfect to treat yourself or for a bespoke Christmas pressie for someone else! Find tickets here. Sheffield’s favourite burger wizards have conjured up a treat, this time in the form of Twisted Pizza, at The Wick at Both Ends this winter. 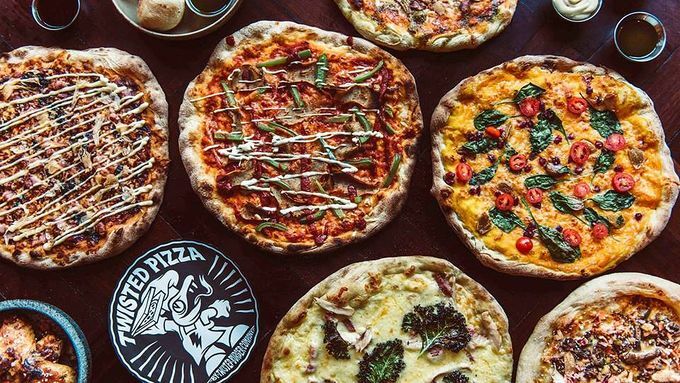 Finding it’s home at the West Street pub and cocktail bar, head down for the launch of Twisted Burger Company’s brand new pizza venture for half-price pizzas all evening as well as an exclusive pizza special plus an expansion of the usual menu. Book your place for a night in pizza heaven ASAP. Chill out and enjoy the calm before the storm that is meeting the in-laws this Christmas, and settle in for a restful evening at the Millennium Gallery. Surround yourself in paintings by some of Britain’s best-loved artists in the gallery’s new Darkness into Light exhibition, while Sophia from Unity Yoga is on-hand to guide you through a series of sessions aimed at helping to see art in a new light. Hear award-winning cultural producer, writer and feminist activist Chardine Taylor speak at The Holt as she shares her experiences of being a Black British working class woman. Having featured in The Voice as one of the Women Who Rocked the World of 2015, Diva Magazine’s LGBT Power List 2016 and Buzzfeed’s ‘The Most Inspiring British LGBT People Of 2016‘, Chardine’s already esteemed career is fascinating. Come and be inspired. Join Sheffield-native Sophie and The Giants as they perform songs from their recent debut EP ‘Adolescence’, which explores the struggle of growing up. You’ll want to catch lead singer Sophie’s strong-as-steel vocals – they’ve been compared to the likes of Florence Welch. Manchester rock and roll band Carnival Club will also be performing some of their energetic rock and roll-indie hybrid songs, as well as Kit Trigg, who’s just released his debut album ‘Life’. Get tickets here. If you ever want to find out what’s on in Sheffield after 5pm, be sure to use #SheffAfter5 on Twitter and Instagram!